As you may know, Java is a piece of software that is infamous for being plagued with vulnerabilities. 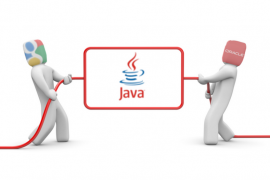 This means that Oracle – Java’s developer – constantly pumps out new updates. This is why the Java updater is a very convenient means through which other freeware can be distributed. Ask toolbar, which has been classified as adware, has been bundled with the Java installer for years. This helps Ask to get installed on more computers – sometimes without users noticing – and it is a way for the company behind the search engine to earn more income. But PCs are not the only target as earlier this year Java Updater began promoting the Ask toolbar to Macs, ook. Java Updater will now no longer promote Ask toolbar. Don’t get your hopes up though as it will be replaced by Yahoo. 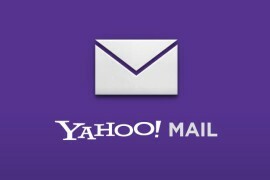 This deal was announced earlier this week by Marissa Mayer, Yahoo Chief Executive. This is an effort by Yahoo to popularize its search engine and services. The Yahoo search engine will begin being promoted at the start of next month. Anyone who starts installing Java will be promoted with the option to make Yahoo the default search engine and home page on their browsers, with the option being checked by default. Met andere woorden, if you do not deselect this option, then you will set Yahoo as your new home page and default search engine on your browser. A lot of users simply do not read through install wizards and click the Next button carelessly, bundled software takes advantage of this in order to get installed on more and more computers, and thus its developers monetize their software. Algemeen, such practice, although not malicious as users are informed of the changes that will take place, is frowned upon. This is because users may not necessarily want the company’s products, but they have been taken advantage of because of they were not careful enough. The good news is that Yahoo does not install any toolbar on your PC, unlike Ask has done in the past. You can easily revert the changes made to your browser without having to uninstall any additional software that has snuck onto your PC. What is more, Yahoo is a very reliable search engine. There have been some suspicious activities linked to the Ask search engine, including the lack of background checks of sponsored links, which meant that there could be misleading links displayed by Ask. Ook, earlier versions of Ask toolbar have been classified as malware by Microsoft security products although the latest version is deemed safe. So be careful around Ask toolbar. If you are going to install it on your PC, make sure that it is willingly and that it will be the latest version of the product, and not some outdated one. En, of course, if you plan to keep Java, makes sure that no unwanted software slips onto your PC when updating it.